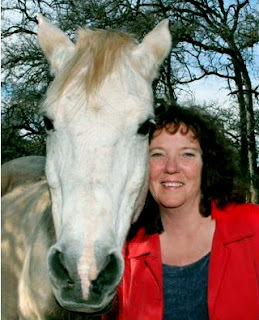 Noted Northern California Animal Communicator Marta Williams, author of Learning Their Language, will make a rare East Coast appearance in New England at the end of March, to teach a series of workshops on intuitive animal communication. If you spend a lot of time with horses (or want to! ), you'll be interested in Talking With Horses, a hands-on workshop that will be conducted at a private barn in Pelham, NH on Monday, March 26th, from 10-6. Working with horses at this stable, you'll have the opportunity to participate in simple verifiable exercises, engage in intuitive "conversations" and learn to trust the information you receive. Marta will also discuss natural traning techniques and holistic care practices. The cost for the day is $165; you can register on Marta's website. Feeding Pets of the Homeless is a nonprofit member organization that provides pet food and veterinarian care to the homeless and less fortunate in local communities across the United States and Canada. Members collect pet food and deliver it to food banks and/or soups kitchens which have agreed to distribute the food to the homeless and impoverished. Members and organizations are listed at www.petsofhomeless.org under “Members”. The information is updated daily. At our main office we coordinate and support members. We accept cash donations; distribute grant applications to veterinarians and other nonprofit organizations that meet your objectives; review and award grants. Through Feeding Pets of the Homeless, we will do our part to help reduce hunger in pets that belong to the homeless and the less fortunate and provide medical care for those pets in communities across the country. We believe in the healing power of companion pets and of the human/animal bond which is very important to life. · Providing grants to licensed veterinarians and other nonprofit organizations that meet our objectives to administer medical care to pets of the homeless.